Steve oversees all strategic & operational aspects of the business worldwide. He brings over 30 years of senior management and technology experience to Ecolane. Steve’s career spans some of the world’s largest information technology businesses to early stage software companies. In all cases, these were companies of consequence in their industry. Immediately prior to joining Ecolane, Steve was Managing Director at MTN Capital Partners, a New York-based Private Equity firm focused on Middle Market businesses, as well as a Board member for several global enterprises. Previously, Steve was CEO of National Investment Managers from 2006 until its sale to a Private Equity firm in 2011. Under his leadership, the company became the largest independent retirement services company in the US with over $11 billion in assets under administration and operations in 17 cities in the United States. Between 2001 and 2006, Steve served as Chairman and CEO of DynTek. During his tenure, he successfully transitioned the company from a $5 million software development company to a leading provider of information technology services with annual revenues of over $100 million. From 1998 to 2001, Steve was General Manager of the Computer System Division of Toshiba America with overall responsibility for Toshiba’s $3 billion computer business in the US and South America. Prior to joining Toshiba, from 1996 to 1998, Steve served as President & General Manager – Computer Reseller Division and President of Corporate Marketing at Inacom, a $7 billion Fortune 500 provider of computer products and services. He directed Inacom’s largest operating division, at $2.5 billion, as well as overall corporate and strategic marketing. 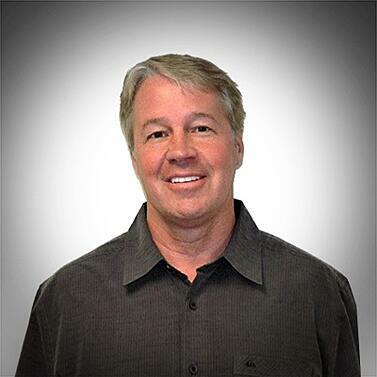 Prior to his employment at Inacom, Steve served as Senior Vice President, Sales & Business Development, for Intelligent Electronics, a $3.5 billion Fortune 500 computer reseller, at the time the largest independent supplier of information technology in the United States. He has also held senior management positions at Dell Computer Corporation and PTXI/Bull HN Information Systems. Steve served as Vice-Chairman of the Board of the Computing Technology Industry Association (COMPTIA) and as a board member of the US Internet Industry Association (USIIA). Steve is an alumnus of Harvard University and graduated from the Advanced Management Program at the Harvard Business School. 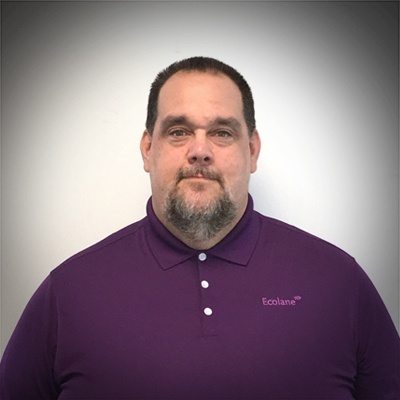 Ryan Larsen is a transit industry veteran with 33 years of experience in transit, paratransit, transportation software, consulting, and executive level management of paratransit service. 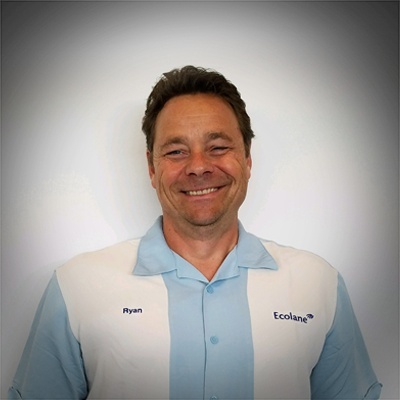 Ryan was the first Ecolane employee in the United States and from 2006-2013 served as President of Ecolane. He also served on the Board of Directors from 2009-2015 before Ecolane’s purchase by National Express. Prior to rejoining Ecolane, Ryan was President of IntelliRide from 2013-2016. IntelliRide is a division of Transdev. Ryan is very active in the American Public Transportation Association (APTA) and serves on numerous committees setting policies to guide paratransit in the United States and to help create excellent service delivery for people with disabilities. 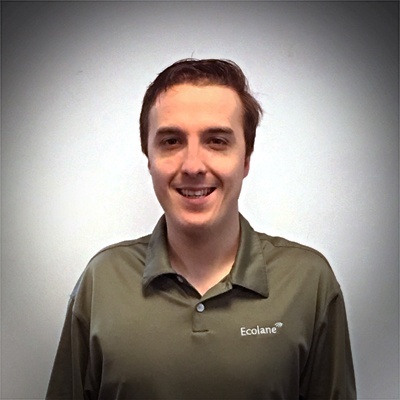 Ryan is committed to providing a great customer experience for those agencies who select Ecolane and he is involved in all aspects of the Ecolane business to ensure service excellence. Daniel has an extensive understanding of the Ecolane platform and more than fifteen years of direct transit experience. Daniel’s background in both technology and transit provides him with a unique skill set that enables him to help customers with their issues quickly and effectively. 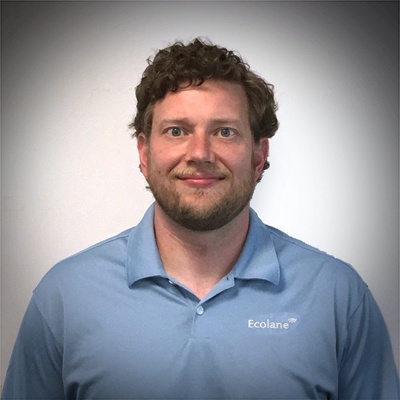 As VP of Product, Daniel is responsible to maintaining the product portfolio and developing product strategy for Ecolane. 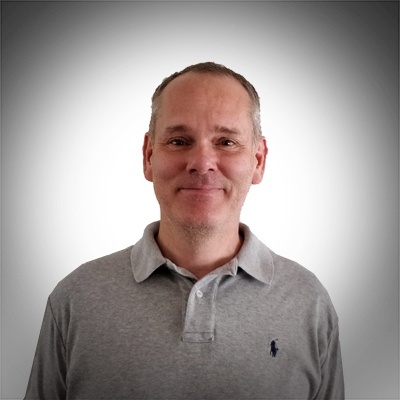 Jaakko is an experienced software engineer, having been involved in all aspects of from specifications to launch for more than 20 years. During his 14 years at Ecolane, he has been responsible for leading the development team from start to finish. His expertise gives him a unique perspective on both what is useful to customers and a how a user would best operate and navigate the programs. Jason oversees customer service related issues during the implementation process. 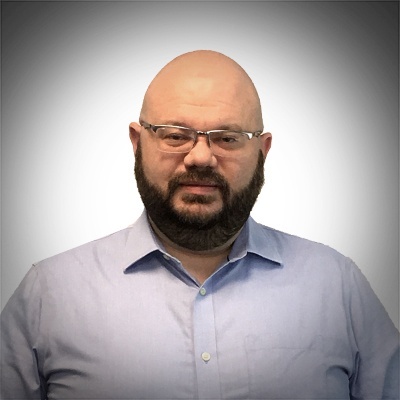 With over 14 years’ experience in the transportation industry, Jason is a proven leader in management and transit technology and drives research and development for transit software. His talents provide process efficiency and promote development of automated solutions that ensure increased productivity and cost reduction throughout all departments. Jason lives in the Greater Philadelphia area with his wife of 11 years and their 4 children. Douglas joined Ecolane in December 2004 where he has held both management and executive positions and played an instrumental role in the growth and development of the organization. In his current role as Vice President, Douglas is responsible for business development focusing on in-depth demonstrations and simulations, large cases, identifying new service opportunities, and providing subject matter expertise. He represents business development in product portfolio and is a stakeholder in the product strategy committee to ensure that customer specific development is delivered according to commitments. During his more than 13 years at Ecolane, Douglas has gained valuable knowledge from an operational and technical perspective. That knowledge is utilized to review and evaluate Ecolane DRT implementations to ensure agencies continue to administer their use of Ecolane DRT fully possible. He also oversees the implementation of guidelines for training models for departmental teams and partners. 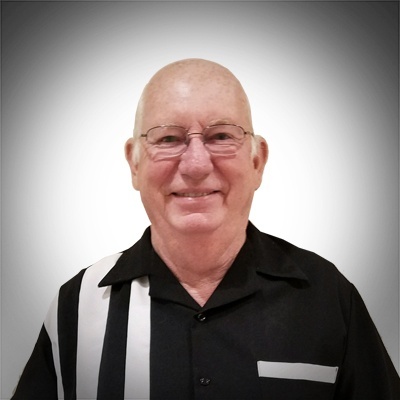 Rex is a 30+ year veteran of information technology in passenger transportation, and has experience working for public agencies, private operators and software developers. His astute approach to technology deployment focuses on both the end user and the passenger. His breadth of experience spans nearly every area of information technology, fixed route, paratransit and shuttle services, including server maintenance, network administration, vendor relations, On-Board technology, system integration, radio/phone, GPS/AVL management, video systems, support, safety, and more. He is a former member of the International Rodeo Committee for the American Public Transit Association where he served as the technical liaison and development advisor. This familiarity with transit data management offers a unique perspective to transportation, and makes Rex a superior candidate to lead the Ecolane Sales team. Susan’s role encompasses all aspects of the pre-sales and post sales activities on behalf of Ecolane prospects and customers. This includes comprehensive account management beyond the initial implementation. Susan’s 18-year career in transportation has included business development and operations for transportation operators. Prior to joining Ecolane, Susan served as a Program Director for Coles County Council on Aging. Susan helped the agency grow through business development, meaningful marketing strategy and her grant writing skills. Her commitment to public transportation especially in the rural areas has been key to her success. Priscilla’s role encompasses all aspects of the pre-sales and post-sales activities on behalf of Ecolane prospects and customers. This includes comprehensive account management beyond the initial implementation. 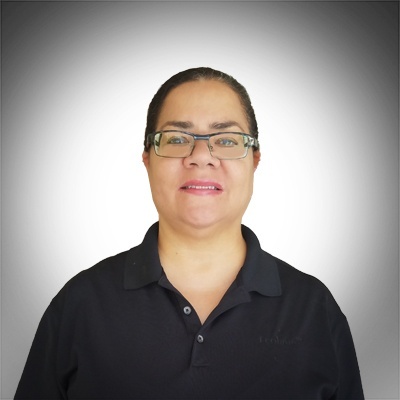 Priscilla’s 26-year career in transportation has included management of paratransit operations, business development, customer and strategic planning. Prior to joining Ecolane, Priscilla served the King County Metro Transit Division as manager for Paratransit and Rideshare Operations. She oversaw a $70 million budget with more than 55 employees in paratransit operations, contract management, vanpool programs, mobility options, and customer engagement. Priscilla was instrumental in improving Metro’s paratransit services while growing the largest public vanpool operation in the country. Priscilla has also held key positions with Sacramento Regional Transit District, Sonoma County Transit, the Metropolitan Transportation Commission and Laidlaw Transit. She has a deep passion to promote “mobility for all” that is efficient, cost effective and adaptable to the expanding technologies occurring in the transportation industry. Her commitment to public transportation, especially in the paratransit arena has been a key to her continued success. Rachelle’s role encompasses all aspects of the pre-sales and post-sales activities on behalf of Ecolane’s prospects and customers. This includes comprehensive account management beyond the initial implementation of the company’s software. In addition, she will collaborate with public transportation general managers and executives by managing Ecolane’s new Partner Relations Program that serves to broaden the company’s scope, reach, and value within the industry. Her 15-year career in public transportation has included program management at the American Public Transportation Association (APTA). As the APTA Senior Program Manager, she was responsible for the management of the Transit Cooperative Research Program’s (TCRP) Dissemination and Implementation Program. The TCRP is a grant based program providing industry solutions derived from research and best practices within the industry. The program was executed by a three-way agreement: the Federal Transit Administration (FTA), the National Academies acting through the Transportation Research Board, and the Transit Development Corporation, Inc. (TDC) which is a nonprofit research and educational organization of APTA. As a result of her program involvement, Rachelle has presented and engaged with the TCRP Oversight and Project Selection (TOPS) Committee, a group that has responsibility for identifying the public transportation industry’s highest priority projects and defining the funding levels as specified by the Transportation Research Board of the National Academies of Sciences based in Washington, DC. Rachelle also managed APTA’s Emerging Leaders Program (ELP). This program has been instrumental to APTA’s ongoing initiatives for successful workforce development in public transportation and is celebrating its 5th Anniversary this year. 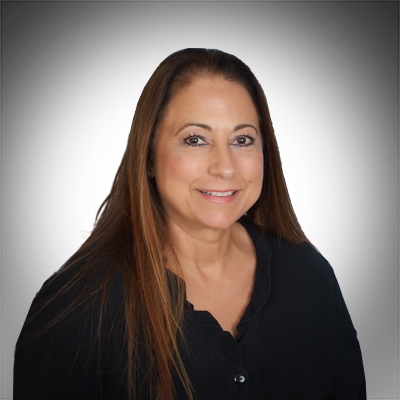 Susan has 25+ years of experience in finance and accounting in non-profit and for-profit industries. She specializes in implementing systems and process improvements for growing companies and managing multi-functional work teams. Susan started her career in public accounting, finance at the Devereux Foundation, the Albert Einstein Health System, Child Guidance Resource Center, and the American Retirement Company. 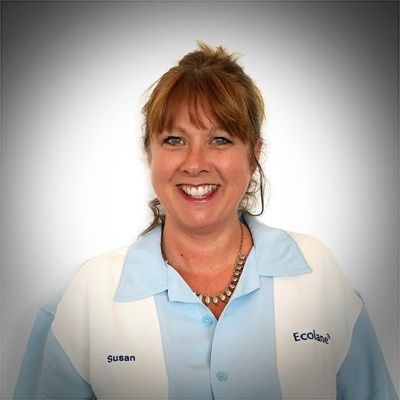 Before joining Ecolane, Susan spent the past 9 years in controller positions within the hospitality industry. Susan’s strong and varied financial background supports the Ecolane team in its constant drive for innovation and efficiencies. Susan holds an MBA in Finance and is a member of Financial & Business Controllers Group, The Strategic CFO, and Controller meets Controllers. 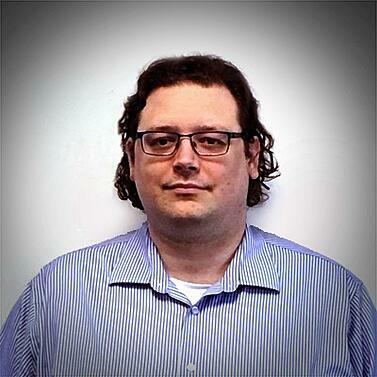 Kevin Dow is our Project Support Office Administrator. He has a proven record of project management in the public transportation industry and was recruited in 2013 by Ecolane to extend the level of services provided to the company’s client base. His background in education, non-profit agencies, technology procurement, standards, and policies make Kevin a valuable resource to further the objectives of the organization. 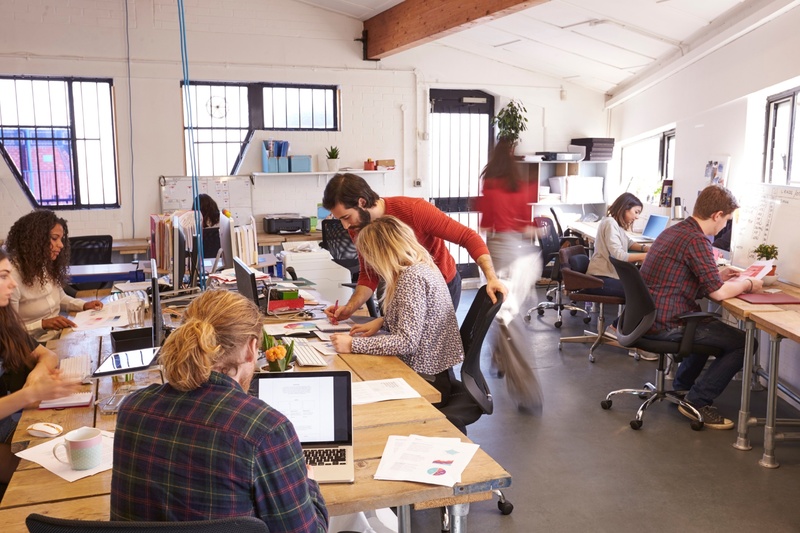 His responsibilities focus on the evaluation and management of the implementation process for Ecolane, regional and local staff training, identifying added value initiatives, and increasing Ecolane's commitment to providing leading, industry client satisfaction. 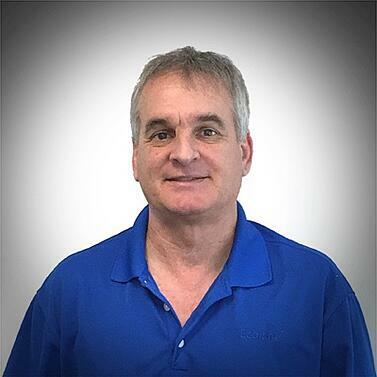 Jim Stec serves as Ecolane’s Director of Strategic Accounts where he is responsible for interfacing with new clients, going through the software installation and implementation process, managing client expectations, and follow-up during and after execution. Jim brings more than 25 years of professional experience in Operations and Executive Management to this role, with skills in team-building, problem-solving, and creating an environment of enthusiasm and dedication. Jim also worked as a consultant in the telecommunications and energy sectors prior to joining Ecolane where he managed a $25 million organization in Central Pennsylvania. Matt serves as the Director of Training and Implementation where he delivers hands-on personal training of Ecolane’s DRT software to clients across the country. He developed our signature risk assessment software, enabling transparency and flexibility between Ecolane and our clients and he is a member of American Transportation Association (APTA). 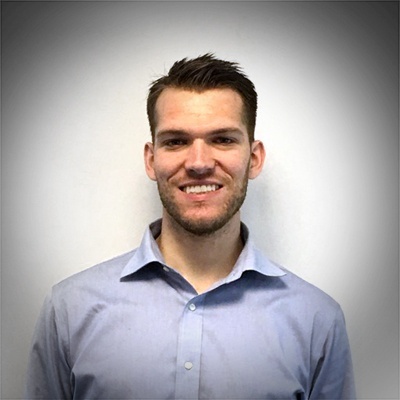 He served as a Department of Transportation (DOT) certified driver, reservationist, scheduler, and dispatcher using our DRT software when he worked for rabbittransit and he is a graduate of West Chester University in Pennsylvania. Director of Support Services, James oversees the on-site and remote support team to provide technical support for web-based, Android integrated software solutions that service all our clients nationwide. This includes training, troubleshooting, bug reporting, design specification, and system customization for issues with various platforms. 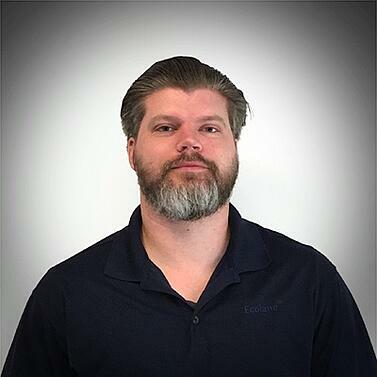 James is the lead bug investigator and reporter, provides on-site training and specialized troubleshooting, creates new design specifications for development based on client needs, and has presented at several industry conferences as a representative of the company. 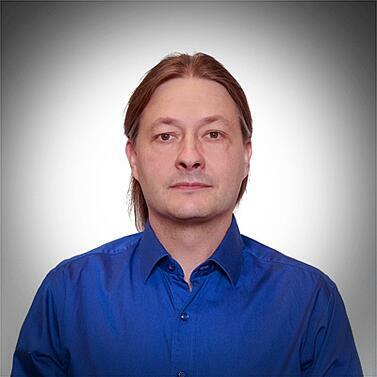 Some of his key achievements include earning a reputation for quickly resolving complex issues, creating custom MySQL queries and automations using Shell, and creating troubleshooting digital maps. As Support Supervisor, Robert oversees the Support Department at Ecolane. His central responsibility is assuring customers' data is accurate and valid. Robert created most of the customer maps used to day and in addition, he established the Implementation Support branch to ensure software integration and execution go smoothly. Robert started at Ecolane in 2014 and holds a Master's Degree in Geographic Information Science (GIS). He is also an active member of the Pennsylvania Geographical Society. Jake is a product analyst at Ecolane; he is responsible for managing market research, and contributing to the user interface design process. Jake has a strong background in bringing novel technology concepts to market, and developing products through all stages of their life cycle. He previously interned in product at Gradx. Before that he was involved with several business-to-customer software startups. 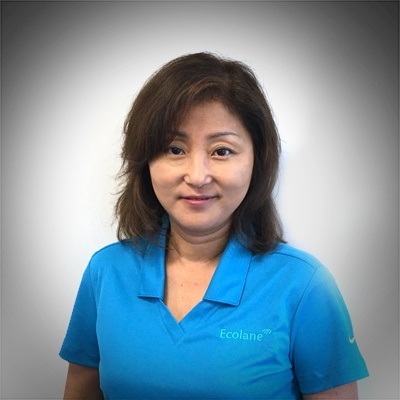 Esther Lee is Ecolane’s Director of Marketing and has been working with the company since 2015. Esther dedicates her time towards building and strengthening Ecolane’s brand awareness and reputation in the transportation industry. 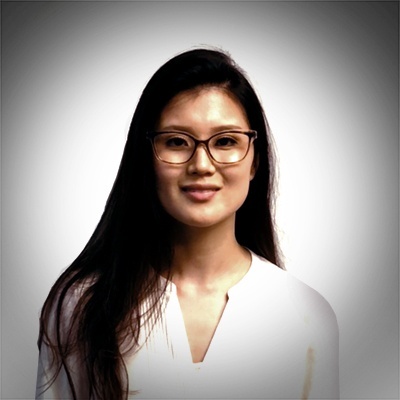 Responsible for developing and implementing the company’s marketing and brand strategy, Esther spearheads Ecolane’s continuing goal of driving its messaging forward and sharing what we’ve learned along the way. As the company’s lead brand steward, she oversees the operation of its digital presence, advertising and overall presentation. Esther holds a BBA in Strategic Design & Management from Parsons School of Design in NY and lives in the Philadelphia area with her two sons, Jacob and Joey. Sed ut perspiciatis unde omnis isterror sit volu accusantium dolor is totamteg is aperiam eaque lorem dsu. Ecolane has a dynamic work environment, made up of passionate, intelligent, and customer-centric team members looking to make a difference in the transit industry.